Steven A. Montag has been a zealous advocate for thousands of people injured in all types of motor vehicle accidents, including being struck from head-on, from the side or from in behind. If you were struck by a commercially owned vehicle, a privately owned vehicle, a government-owned vehicle or even if you were the innocent victim of a police chase, the top auto accidents lawyers at Montag Law Office can help. Trucks are a lot bigger than cars. With big size comes big responsibility. Large trucks can cause devastating and life-changing accidents. It is unfortunate that large trucks have to share the same roads as small personal vehicles. One of the few good things to say about being hit by a large truck is that they usually have large commercial insurance policies that can help deal with the serious injuries they can cause. In addition to being dangerous because of their size, dealing with commercial truck insurance companies is also very hazardous. Truck insurance company adjusters are normally some of the most aggressive people in the business. Any time that there is a serious injury there is a lot to fight about. That means that the responsible insurance company can be expected to negotiate hard and that the chances of needing to go to court to obtain appropriate compensation go up. Many people derive great enjoyment from being outside on a nice day and riding their motorcycles. Motorcycle riders usually know that they are more vulnerable than passengers in other vehicles and are usually careful drivers. Even if you drive defensively and wear your helmet as well as other protective clothing, other drivers are not always so careful. Many drivers do not notice motorcycles or bicycles and pedestrians because they are smaller than most motor vehicles. If they are not being alert and careful, the result can be a serious injury accident. When a serious injury occurs, it is important to use all insurance benefits to their greatest advantage. Serious injuries require a strong, aggressive advocate to get the compensation you need. Claims involving serious injuries are a lot different than claims for smaller injuries. Locating sufficient insurance coverage or assets to appropriately compensate someone who has been seriously injured is challenging. Whenever there is a catastrophic injury, a thorough investigation is necessary to determine all possible negligent parties and all of their applicable insurance policies. It is also necessary to be aware of all of your own insurance policies and benefits that are available. All responsible people who caused the accident must be held accountable and all sources of insurance must be identified and defendants’ assets must be identified. Every person or business or government entity that owns or manages property has a duty of care to anyone lawfully on the property. Harm can be done to people as a result of unsafe conditions or inadequate security. For example, injuries resulting from slip and fall accidents can lead to negligence claims against landowners or property managers. They may be found liable if unsafe conditions were allowed to exist. Premises liability claims can often be made whenever someone is seriously injured on the public or private property. Negligent or inadequate security measures can create risk in public places like stores and shopping centers or other business such as apartments and bars. Landowners and business owners and operators have been held accountable for causing injuries or wrongful death because of unsafe conditions on their property. The right to make a claim for wrongful death exists even though the person who died will not directly benefit. It is appropriate for surviving family members to receive compensation when someone has died because of someone else’s negligence. Making a successful claim and maximizing death benefits is especially important when the person who died was a wage earner and had a family to support. Whether a person has died as a result of a motor vehicle accident or if a premises liability claim is involved or even if someone died as a result of medical malpractice, the Montag Law Office can help you get the compensation you need. Medical doctors make mistakes and when they do, the consequences are often serious. A failure to provide the correct diagnosis or provide the appropriate treatment can be devastating. We depend on doctors to stay healthy. However, when they make serious mistakes, they must be held accountable. The Montag law Office can help you understand and protect your legal rights after an accident. Steven Montag is familiar with the problems and legal issues facing injury victims. He can apply his vast experience with injury and insurance law to your case. The Montag Law Office is truly dedicated to helping injured people. Mr. Montag will do whatever it takes to get the justice and compensation you deserve after an accident. Whether he is helping make decisions about what to do after an accident or when he is conducting tough negotiations with a big insurance company or when deciding to take your case to court, he can be counted on to do what is right for his clients. Steven Montag’s tireless efforts have helped thousands of people across Nebraska since 1998. Our firm helps people who have been injured as a result of the reckless or negligent acts of others. We are here to help our clients overcome the consequences of serious accidents. We have been there to support thousands of people from Omaha, Lincoln or other parts of Nebraska who have gone through a life-changing loss as a result of an accident. Contact a professional you can trust, Steven A. Montag. Call (402) 334-2200 for a free initial consultation and case evaluation. That is a question asked by anyone who has been injured in a car accident. Every situation is different. Common sense applies but it is not normally possible to accurately determine the value of a claim until late in the claims process. The Montag Law Office has handled many of thousands of injury claims. We can help you decide if you have a strong claim that is worth pursuing and if you could benefit from legal representation. Valuing a claim involves weighing many factors. The strength of liability and the severity of injuries as well as the type of treatment required and associated pain and suffering and whether or not there are permanent injuries or future medical needs. An injury can also interfere with working and cause you to lose income or even reduce your earning capacity. These are just some of the factors to be considered. Initially, it is only possible to get a ballpark idea of claim value. At first, the claim’s value depends on things that have not happened yet. 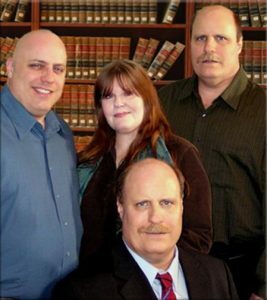 Let the Montag Law Office use our years of experience to guide you. Reduce your worries about what to do by putting your trust in a proven professional. In Nebraska, there are different statutes of limitations that apply to negligence claims depending on who caused the accident. The time limits and procedures for making a claim are different for privately owned vehicles and for government-owned vehicles. The requirements also vary depending on what government agency is involved. Failure to take appropriate action within will prevent you from making a claim. A thorough of the factual situation of an accident and the parties involved as well as a complete understanding of the law is necessary to accurately answer questions about the statute of limitations that applies to a situation. You would not try to do surgery on yourself and you would not expect a foot doctor to work on your brain. Similarly, you should hire a skilled and experienced Nebraska injury attorney to navigate the legal complexities of your injury claim. The Montag Law Office does not charge up-front fees for representing you after an accident. There is no retainer fee to hire us. My office normally charges a 1/3 contingent fee. Even if you do not have cash sitting around to pay a lawyer, you can get the legal representation you need. We get paid when we finish your claim through a settlement or when we get a court judgment, we get paid. That means you do not have to wait to hire us and start benefiting from our service. We can normally do the most good when we are hired soon after an accident. Do not wait until mistakes are made and your case is in trouble to get the help you need. Avoid costly mistakes by hiring Steven Montag as soon as possible. A free telephone call can answer your questions and replace worry with confidence that you are doing the right things and that we can help you protect your legal rights. Every situation is different but you can rely on Steven Montag’s experience to enable him to give you sound advice after an accident. The insurance companies employ highly trained adjusters and lawyers who always try to minimize the size of claims against them. Hiring an experienced lawyer helps even the playing field when dealing with a big insurance company. When they are writing the checks they have a lot of power over you. You need every advantage you can get.